Ortigas (Correct me if I’m wrong!) has never looked that peaceful. At first glance I thought it was Makati. LOL. That’s actually the view FROM the Ortigas area (probably the hotel at Robinson’s Galleria), looking across to Edsa going North, houses in Corinthian Gardens at the bottom right, and that Greenhills subdivision (whose name I can’t recall) on the upper left. 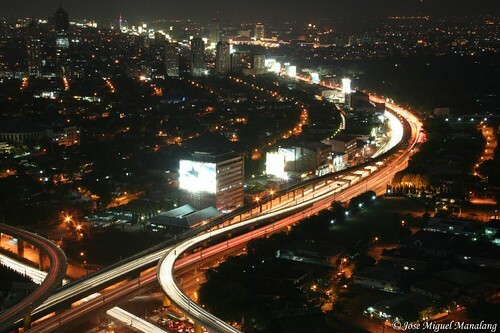 Yes, as commented by Robby it is FROM the Ortigas Area. I can see my office building here hehe.